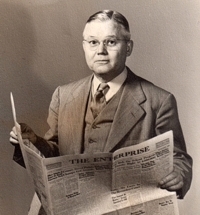 During the years that Francis Marion Manning published The Enterprise newspaper in Martin County, he collected a wealth of materials about the history of Martin County and the surrounding area. On his death, family members donated part of his collection to the Martin County Historical Society (MCHS) and part to the Joyner Library at East Carolina University. 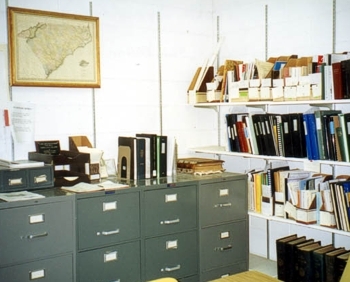 In 1985, MCHS created The Manning History Room to collect and preserve these and other historical and genealogical documents, publications, and materials pertaining to Martin and surrounding counties and to conveniently share this collection with the public. The Manning Room's holdings include family histories, photographs, cemetery information, records of the published minutes of the Kehukee Primitive Baptist Association dating back to the 1740's, the Zion Landmark, and other Primitive Baptist publications and information as well as newspapers, maps and microfilm. The MCHS has expanded the collection with a variety of materials from other sources, as well. Materials in this room may not be removed. North Carolina ECHO's web page about the Francis Manning Room.